Natural light interiors, architectural and lifestyle photography. Professional real estate photography in New York city and North NJ, interiors and architectural photography. Special offers for booking, airbnb, trulia, zillow photo. Awesome deal for agents Business photography. Gotham Interiors is a NYC-based interior photography group producing imagery for real estate, hospitality, dining and corporate spaces. Whether you're an interior designer or an architect trying to show off a stunning room or a real estate agent who is in need of some images to make your home look like a dream, we've worked with tons of designers, architects and realtors from all over. SpieglerWong, based in both New York City and the Hudson Valley, specializes in architectural, interior, commercial and real estate photography. We enjoy working collaboratively with architects, designers, and clients to capture quality of space and light inherent in the designs and our work is to translate and communicate these ideas through an image. Amanda Kirkpatrick is an award winning architectural photographer based in Brooklyn, NY. Her work has appeared in publications such as Architectural Record, ArchDaily, Dwell, Architizer's A+ Awards, Modern Decoration [China], Brooklyn Magazine, Houzz, Hyperallergic, Gizmodo and 201 Magazine. Andy Ryan is a professional photographer specializing in Architecture, Commercial Spaces, Interiors, Exteriors and Landscapes. I offer professional photography services for architects, interior designers, developers, custom home builders, real estate agents, businesses and real estate agents. Additionally, I offer floor plans for residential and commercial properties, along with virtual staging of residential properties. When photographing interiors, Andy pays careful attention to the character of a room as a whole as well as the nuanced design choices. Using both natural light and artificial light, Andy works to create beautiful photographs that honestly represent the space. When photographing home and commercial building exteriors, Andy captures the structure as subject while also creating a sense of place. Andy Ryan serves the Tri-State area (New York, New Jersey, Connecticut) and all of New England. Eye-catching photography for creators of beautiful spaces. I create simple, compelling images of architecture, interiors, exteriors, restaurants, hotels, cabins, homes, landscapes, and more. I'm here to help you showcase your work so you can grow your business, do more of the work you love, and see a real, tangible benefit to your income as a result of the interest my images create. Let's work together to create captivating photos of your projects that will entice clients and evolve your business. I have five years of professional photography experience focusing on personalized service and working hand-in-hand with you to realize your vision for sharing your design. My recent commissions include PureKitchen, Arlene Angard Designs, Naula Workshop, Nooklyn.com, Honest Cooking, LeJIT Productions, Great Performances. I am currently based in New York City and accept jobs for architectural photography and interior photography in Brooklyn, Manhattan, Queens, Staten Island, Bronx, Long Island, New Jersey, Hudson Valley, and anywhere else my photos are needed. I am happy to travel any distance worldwide to photograph a great project. 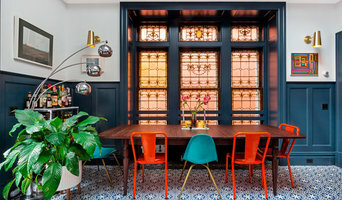 Kelsey Ann Rose is a professional lifestyle and interior photographer based in Brooklyn, NY. When it comes to her process, she likes to keep things very comfortable and easygoing on set. Utilizing natural and available light, Kelsey brings minimal equipment to set and has no problem with providing styling assistance along the way. 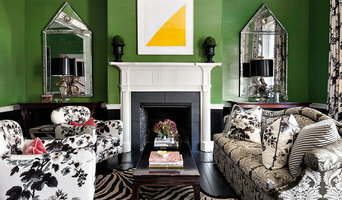 Her work can be seen in The New York Times, Apartment Therapy, Vogue, The Everygirl and Rue Magazine. Award winning photographer specializing in architectural photography for real estate and design services. With a heavy focus on Architectural Photography, I am in love with interior angles and how light flows through a room. Contact me to discuss having your space photographed. I deliver in lifetime guaranteed print on numerous surface types or digitally through my privately hosted site. 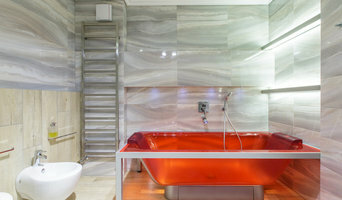 An award-winning interior design and architectural photographer, Alan Barnett creates stunning, vibrant, and detailed images for publication and interior designers' portfolios. Alan serves the New York metropolitan area including Westchester, New Jersey, and Connecticut. If you're thinking of selling or renting your Copiague, NY house, hiring a home photographer can make a big difference between making money and just breaking even. Think about when you look at photos of homes online: If the lighting is terrible, the quality is poor and the listing provides very few photos, don't you subconsciously associate these bad qualities with the homeowner or renter? A home photographer helps with those challenges. Before you call any potential photographers, make sure they have good references. Friends who've sold or rented homes before are great resources, as are local real estate agents. Look through each New York photographer's online portfolio to make sure what you're looking for is being offered. Once you've done that, it's a good idea to walk around your home and write down exactly how many and what types of shots you'll need. Include any specifications you might have, such as angles, things to consider about your home’s Copiague, NY site, the time of day you think will be best and aspects of your home you want to highlight. Find a home photographer on Houzz. Narrow your search in the Professionals section of the website to Copiague, NY photographers. You can also look through Copiague, NY photos by style to find a room you like, then contact the professional who photographed it.